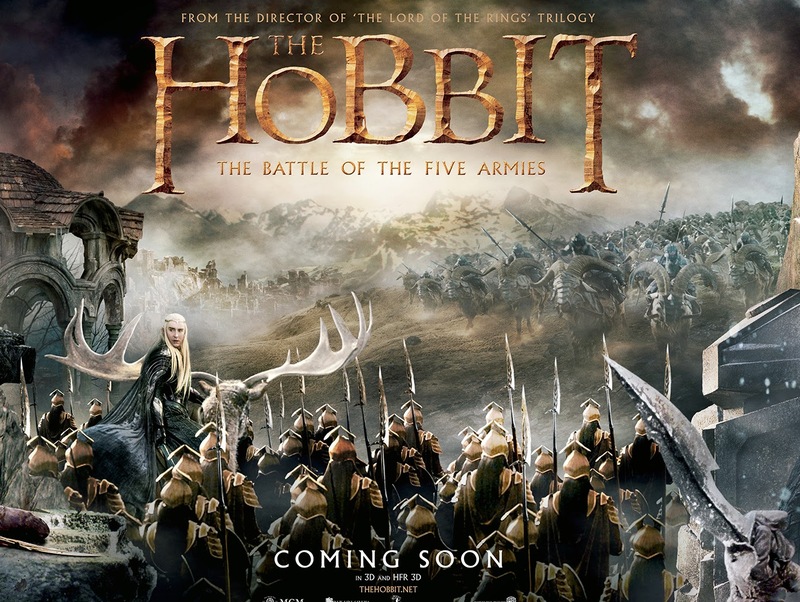 The Hobbit: The Battle of the Five Armies is a tale about the price of greed in the third part of a bloated trilogy stretching a single short book into three long movies. The irony is palpable. Even if director Peter Jackson isn't greedy for the profits brought in at the box office, he's undeniably greedy for more Middle Earth, and his punishment is the death of any artistry he might have previous wielded. There are endless empty speeches about "I will have war!" and tiresome meditations on "how much life will you sacrifice for your gold?" and then everybody bonks each other on the head with their silly toys and then it ends. All the while, Jackson scrambles desperately to keep his audience in their seats with references to his better trilogy ("He is known as Strider. His true name you must discover for yourself."). The tone is darker, but instead of being serious or powerful this change just feels out of place next to the Comic Relief Dwarves. Thorin's character finally begins to have an arc, but it goes from black to white with no grey in the middle. Bilbo is still the only thing that really works in the movie, and he gets a negligible amount of screen time. The Elven Love Triangle is still insufferably tedious. The best parts are the parts everybody else seems to hate (e.g. Legolas defying physics). Jackson's Middle Earth has degenerated into meaningless spectacle, and at least these few moments embrace its nonsensical dimension.